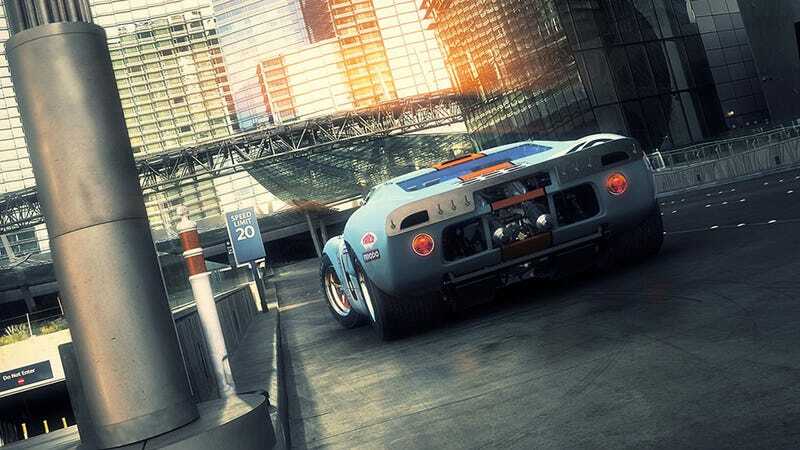 The Ford GT40. So fast. So gorgeous. Even decades later, it still turns heads, and it still stops hearts. So if a guy who draws cars in video games for a living wants to pay tribute to a vehicle, there aren't many better options. The work you're seeing here is that of Luis Nieves, who's recently been working with Microsoft and Turn 10 on Forza for the Xbox One. He's a man who loves the GT40 so much he built one of the best 3D models of a car ever seen, one that's won him a ton of awards and has got its own website. Prior to that, he did some work with Blur on The Elder Scrolls Online's fancy cinematics, as well as having some of his stuff featured in the Avengers movie while working with Luma Pictures. You can see more of Luis' work at his personal site and CGHub page.